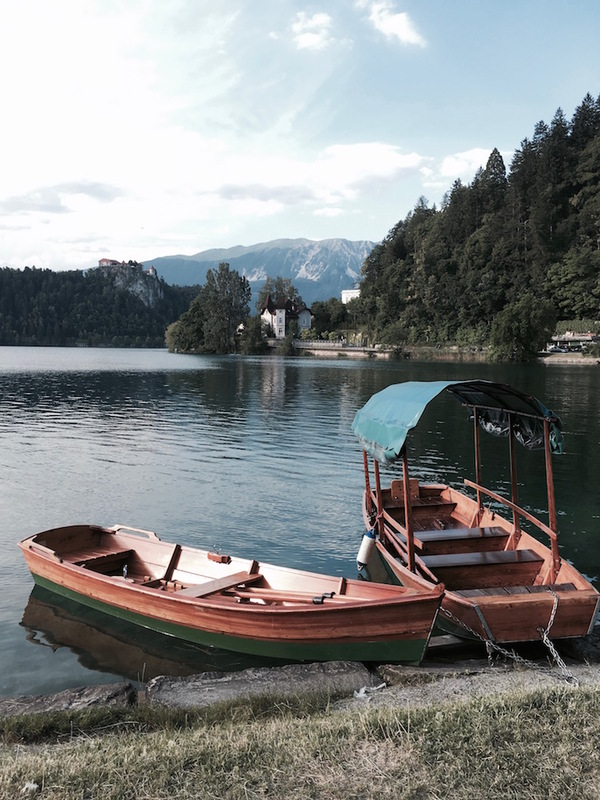 Some people visit beautiful Lake Bled in Slovenia to relax, to savour the peacefulness of a place in the Julian Alps usually covered in snow. Phoebe from WoodandLuxe and I had other ideas. Sure, we were glamping in the most tranquil accommodation possible, but our ‘how’s-the-serenity?’ moments were dramatically interspersed with a kind of ‘all-you-can-complete’ buffet of adventure activities. 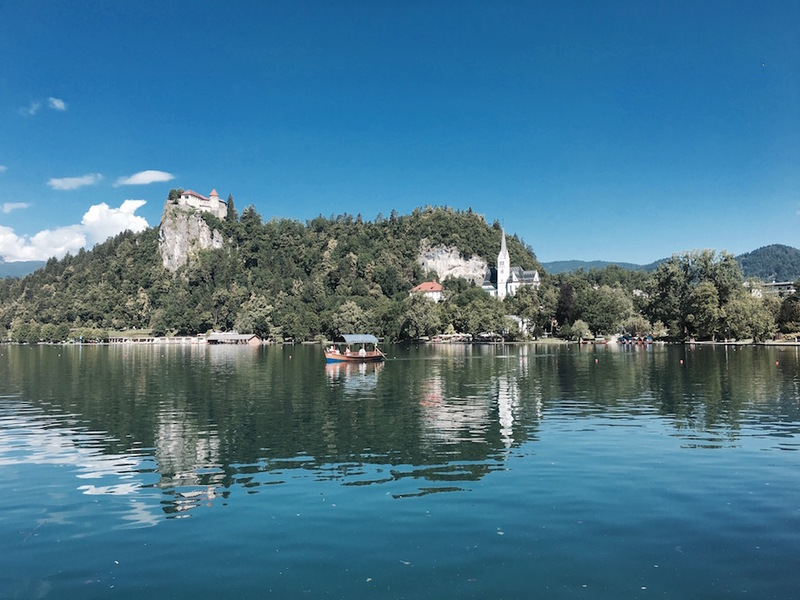 Basically, our 48 hours of summer in Lake Bled looked like an Olympic decathlon complete with cycling, sitting, swimming, rowing, riding, rafting, walking, hiking and of course, eating. 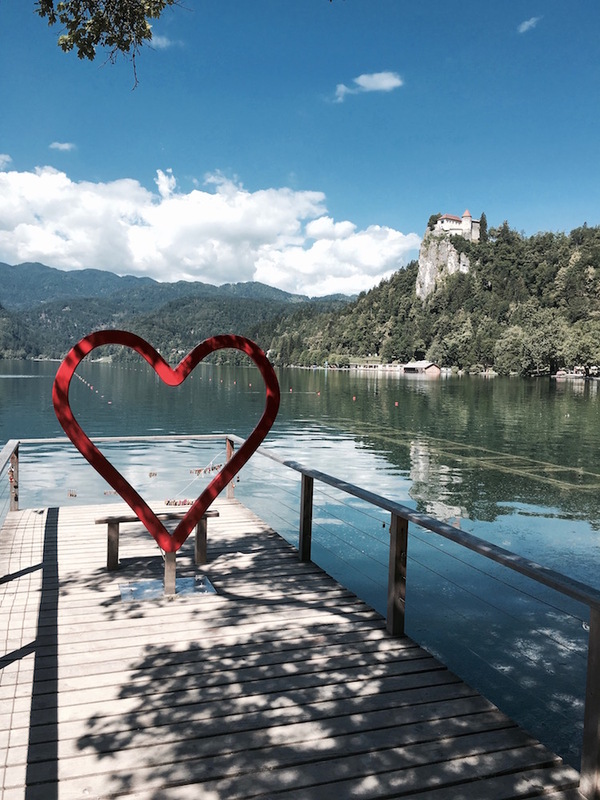 Fair to say we experienced Lake Bled and its surroundings from all angles. By now I’m pretty sure you know one of my favourite ways to experience a new place is to jump on the back of a steed. 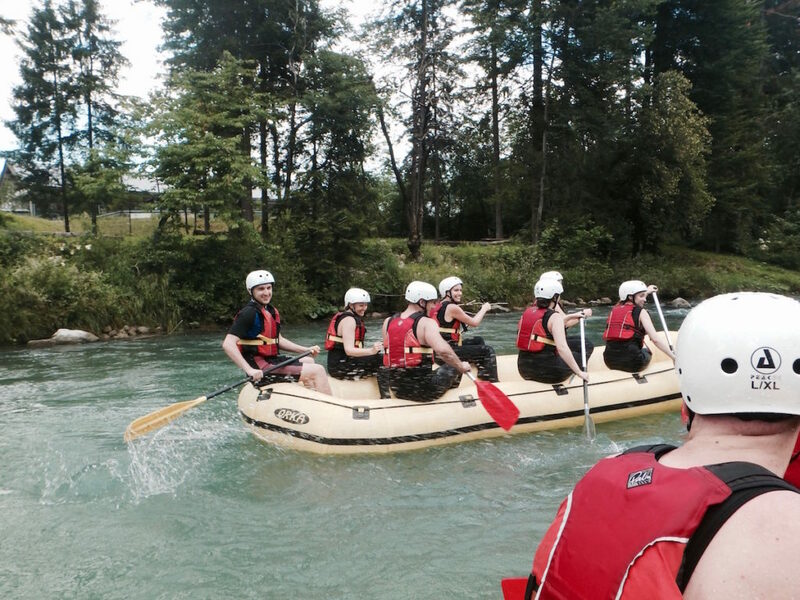 Luckily, Bled has more than a few riding tour operators catering to different skills. 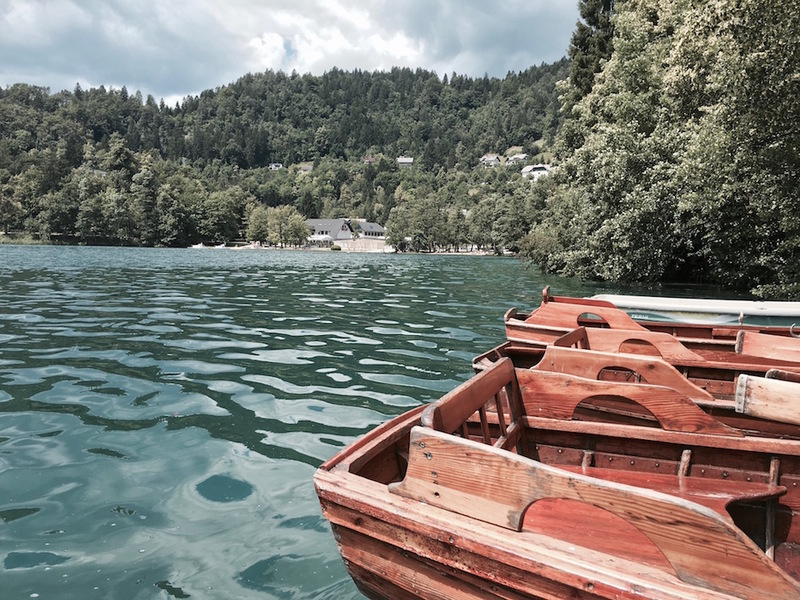 We booked a two-hour tour of the lush Bled countryside through 3Glav Adventures for 50EUR per person. 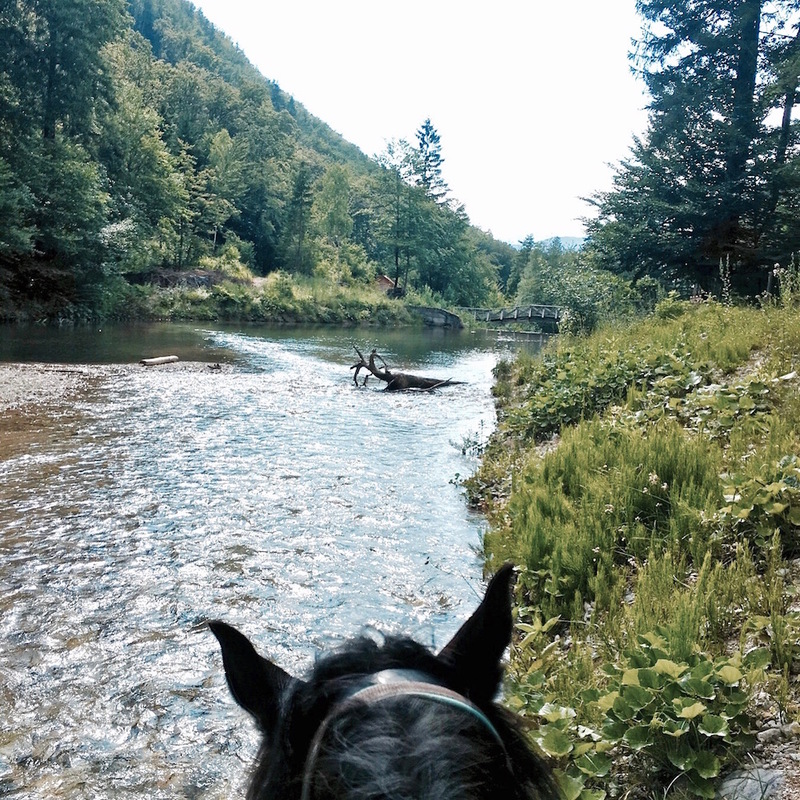 The ride, which takes up to 6 people, commenced at their stables a mere 10-minutes from Bled village. We meandered through some quiet streets and ended up at hidden Zayrsnica Valley where we got ample galloping time! You have two cyling option in the Lake Bled area. 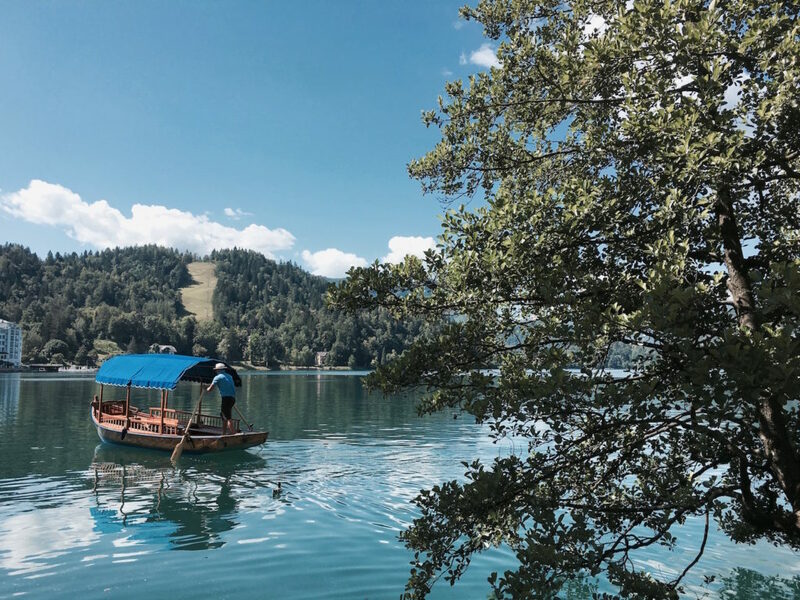 One: hire a bike for a few euros from one of the many vendors dotted around Lake Bled and take in the gorgeous scenery. Or two: get serious and take a four-hour guided mountain biking mission in the mountains of Triglav National Park. A moderate level of fitness is required so you don’t have to be Cadel to negotiate the trails. 65EUR/person through 3Glav Adventures. Warning: the only time you really want to be swimming in the Lake is during the summer months, and even then the temperature is relatively bracing. The good news is it’s perfect for a dip to cool off on a hot day. Why not grab a picnic, roll out the blanket and bask in the glorious sun. 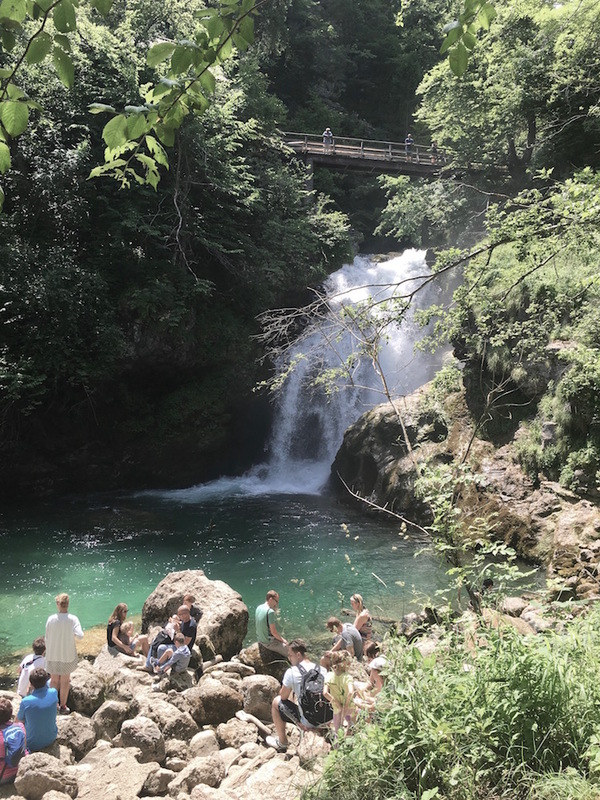 A mere 10 minutes by car from the lake, Vintgar Gorge is one of the most popular hikes in the Bled area. The walk takes you along a 1.6km ravine clinging to rocky outcrops nestled between the Hom and Bort Hills. The electric blue water and dramatic cliffs make for spectacular views as you pass glacial waterfalls, pools ad rapids. At the end of the gorge walk, turn left and cross the bridge to find the path to visit Sum Falls. 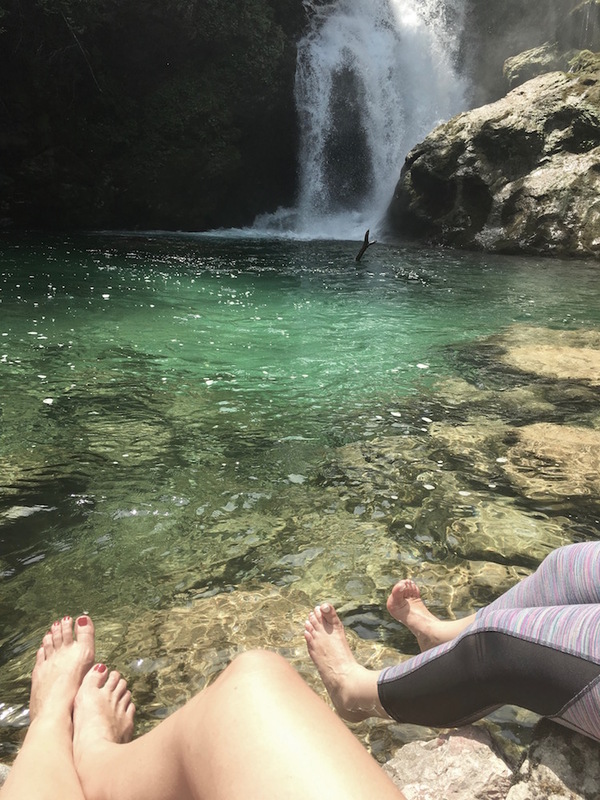 Pack some lunch, take your shoes off and soak your toes in the refreshing glacial water. 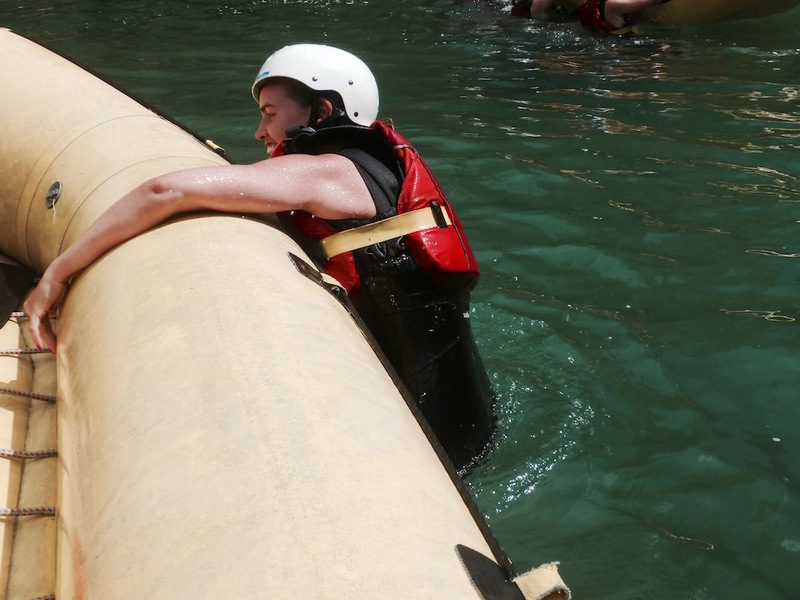 While the Bled Water Rafting experience itself isn’t exactly balls-to-the-wall-adrenalin-pumping, the temperature of the water is! 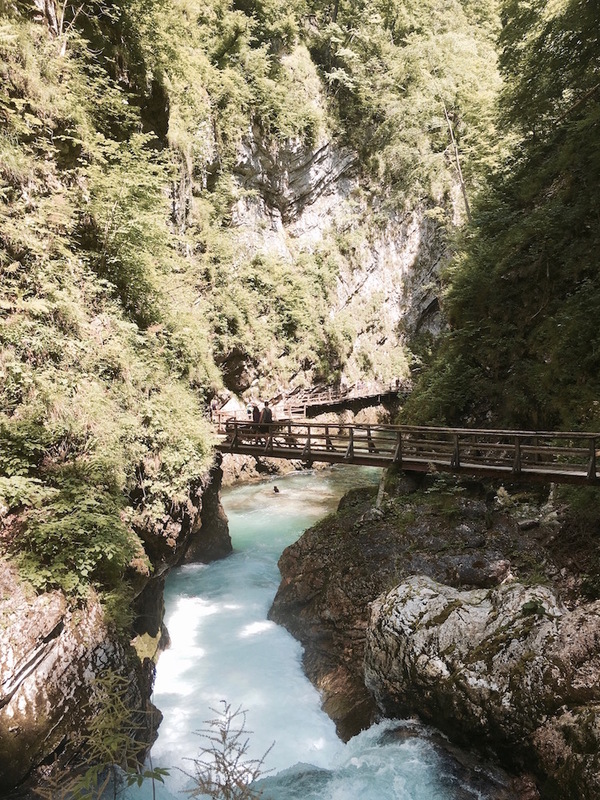 The alpine Sava River has a frigidity akin to the ice-bucket challenge, and if you fall in your in for a (shriek-worthy) treat! We booked our two-hour rafting experience with FunTurist for 35EURO per-person, they took care of all the photos, safety equipment and fun! 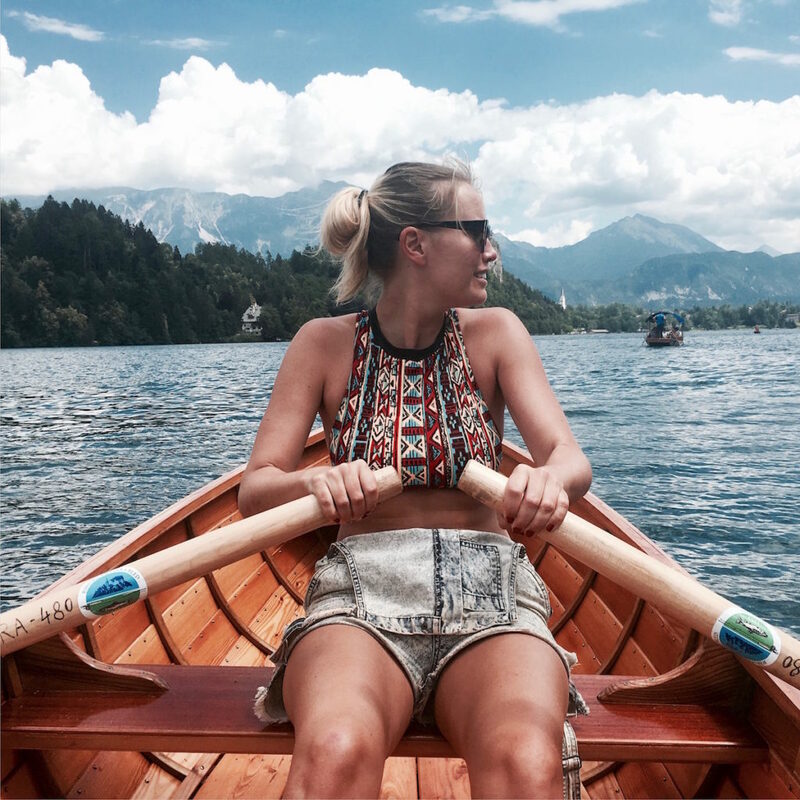 We stayed at Garden Village in Lake Bled, which was unlike anything else I have ever experiences. Read my full review of Garden Village here.